This is a Heavy duty automotive, transportation relay. 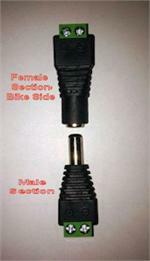 We only recommend high quality relays to install on your bike. We have included the Female Quick Disconnect Connectors with the Relay for ease of installation. General purpose relays and will fit many vehicles and applications. 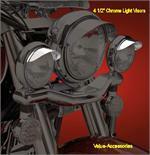 Typical applications include: Lighting, Starting, Horn, Heating and Cooling Accessories. The switch or control power only needs to supply a small amount of current to trigger your relay + (86) & - (85) ground. Put a switch in series with the + (86) trigger input to be able to turn the lights on and off. This can even be a signal from somthing that is energized when your key is turned to on. 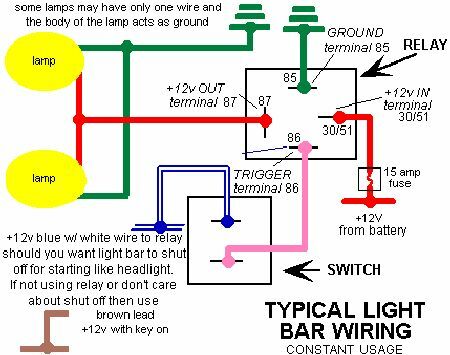 Hook up heavier wire thru a fuse directly from the battery or Accessory Fuse Panel to the in terminal (30). Hook up output terminal (87) to your Lights, Load, etc . You are now running all of your current through the relay contact instead of a switch which may not be able to handle the load, and possibly burn out. Relay enclosure size: 1' x 1" x 1". 40A contactors at 12V DC; Form C: SPDT. Temperature range: -40°C to 85°C. Operational life: Electrical to 100,000 cycles; Mechanical to 10 million cycles.